The former AIG boss proved the insurer’s $182 bln rescue was technically illegal, yet the government owes him no money. What can probably be spun as a victory for both sides will surely please neither. The reality is that huge egos have finally been cut down to size. 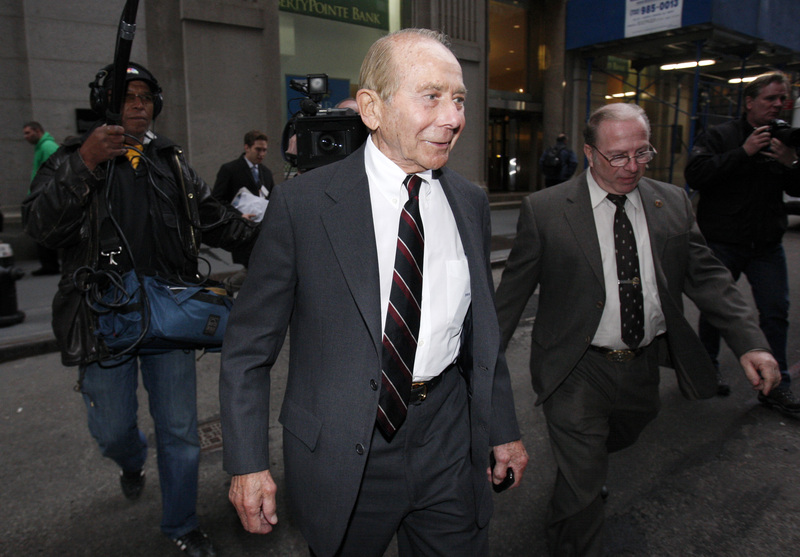 A U.S. judge on June 15 ruled that the U.S. government does not owe Maurice “Hank” Greenberg and other American International Group shareholders any damages over the insurance company’s 2008 bailout. Former AIG Chief Executive Greenberg, through his company Starr International, sued the government in 2011. He argued that federal officials overreached in the initial $85 million loan package to the company, which included an interest rate of 14 percent and a nearly 80 percent equity stake. Judge Thomas Wheeler of the Court of Federal Claims in Washington partially ruled in favor of Greenberg on the issue of government liability, but Greenberg had sought as much as $50 billion in damages on behalf of Starr and about 270,000 other shareholders. Starr International was AIG’s largest shareholder at the time of the bailout, with a 12 percent stake. In his opinion, Wheeler said the government showed “unduly harsh treatment” of AIG compared with other institutions it bailed out, but that was not enough reason to compensate Greenberg.